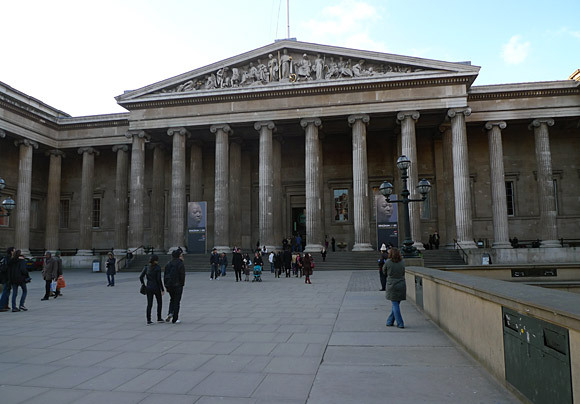 The first exhibition in Europe to focus on the great age of Mexican printmaking in the first half of the 20th century, the British Museum's selection shows off 130 works by over 40 artists including prints by Diego Rivera, Josê Clemente Orozco and David Alfaro Siqueiros. 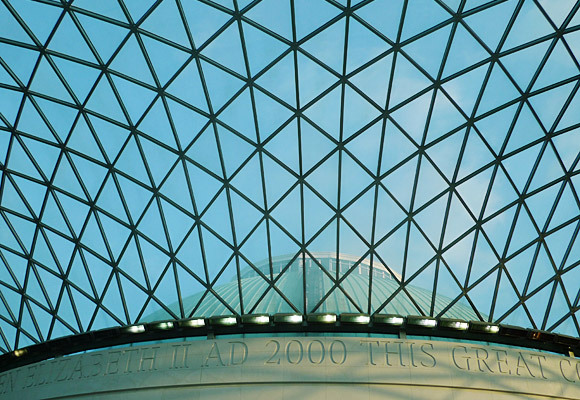 Designed by Foster and Partners, the Queen Elizabeth II Great Court is the largest covered public square in Europe, and encompasses a two-acre space enclosed by a spectacular glass roof with the iconic Reading Room at its centre. 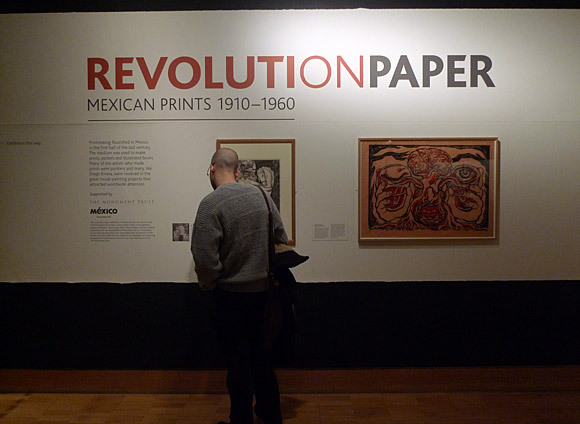 Printmakers in Mexico often belonged to groups, societies and movements which were underpinned by their commitment to politics. The earliest movement was Stridentism, an avant garde group which was launched 1921 and was similar to the Italian Futurist movement because it rejected the past. The Taller de Gráfica Popular (TGP) was formed in 1937 by Luis Arenal, Leopoldo Méndez and Pablo O'Higgins as a graphic arts workshop which was influenced by communism. TGP members had access to printing equipment at the workshop and did not need to have artistic training. 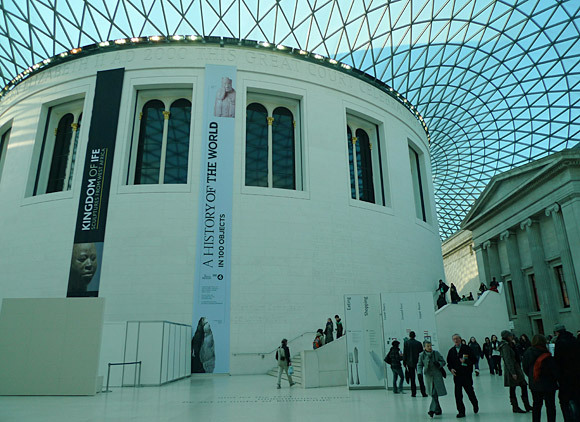 The collective produced prints for posters, flyers and portfolios which were printed on cheap paper. 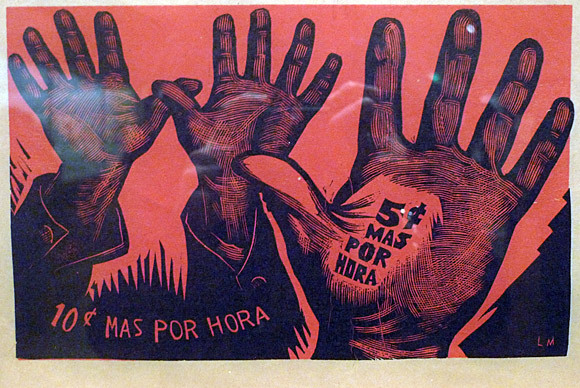 Their prints often supported the campaigns of trade and workers unions in Mexico. 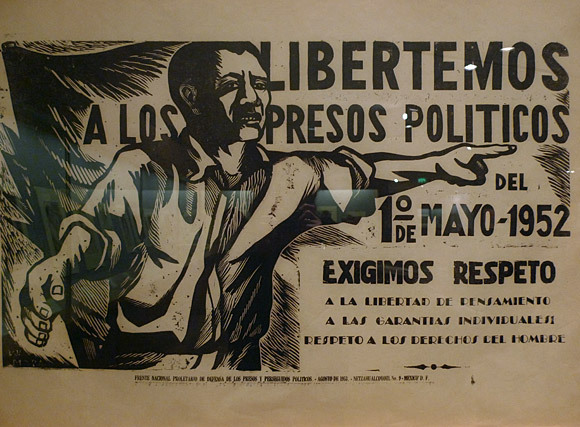 For example, Pablo O'Higgins and Alberto Beltrán collectively made a poster advertising the first Latin American Petrol Workers conference. 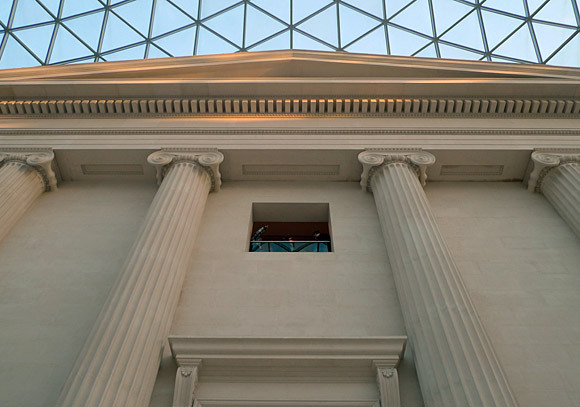 The TGP was also particularly committed to the fight against international Fascism. Angel Bracho's striking red and black poster, Victoria! (1945), which celebrates the allied victory over the Nazi's in 1945, is a key example of the TGP's anti-Fascist stance. 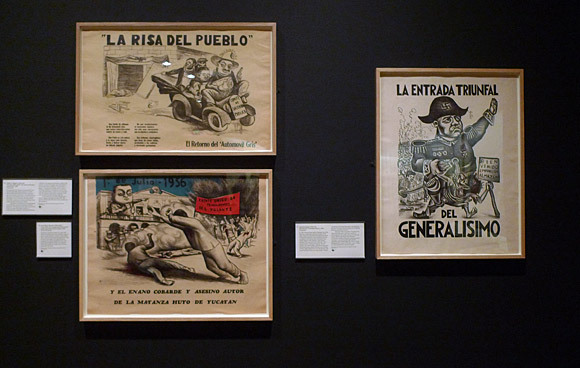 Other printmakers addressed subjects such as corruption, capitalism and Mexican daily life in their prints.